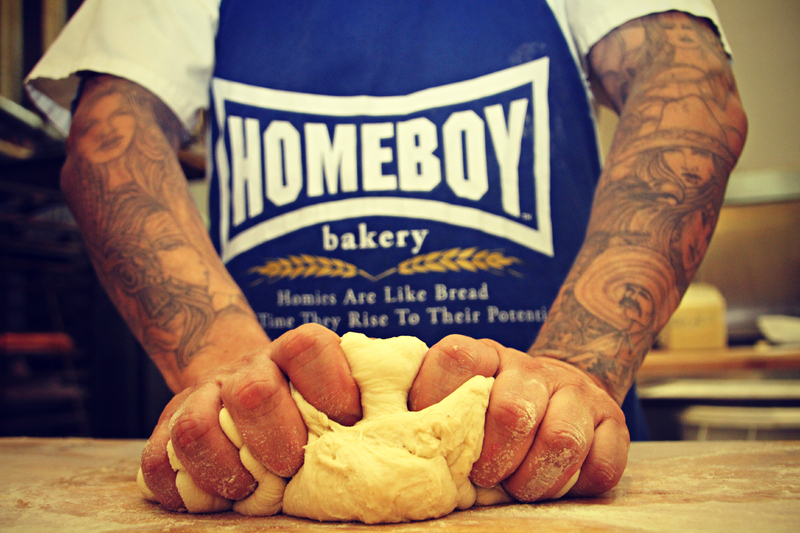 For 25 years, Homeboy Industries has been serving high-risk, previously incarcerated, and formerly gang-involved individuals looking to change their lives. Located in Downtown Los Angeles, Homeboy Industries’ headquarters is home to social enterprise businesses that provide job training, as well as a multitude of free services to those in need. 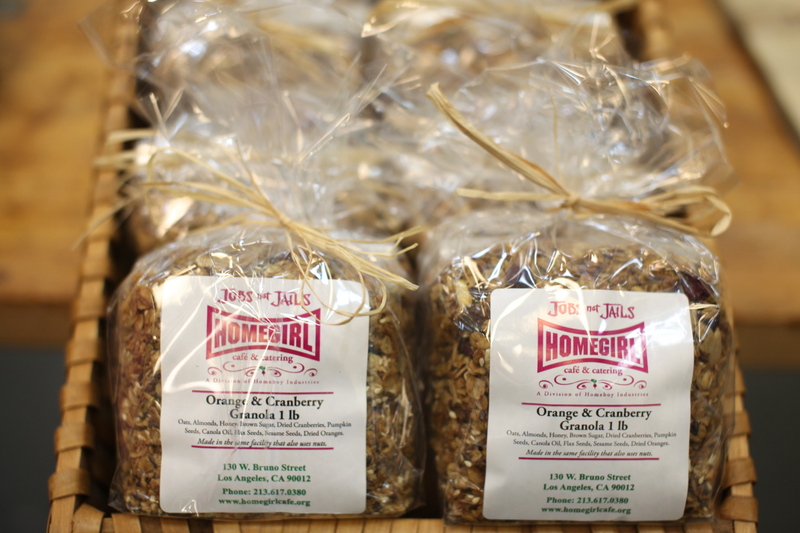 Homeboy’s social enterprise businesses include Homeboy Bakery, Homegirl Café & Catering, Homeboy Silkscreen & Embroidery, Homeboy/Homegirl Merchandise, Homeboy Farmers Markets and Homeboy Diner at Los Angeles City Hall. You can find Homeboy Chips, Salsas and Salads sold in most Southern California Ralphs stores and if traveling through Los Angeles International Airport, using Terminal Four, feel free to grab a bite at Homeboy Café & Bakery. 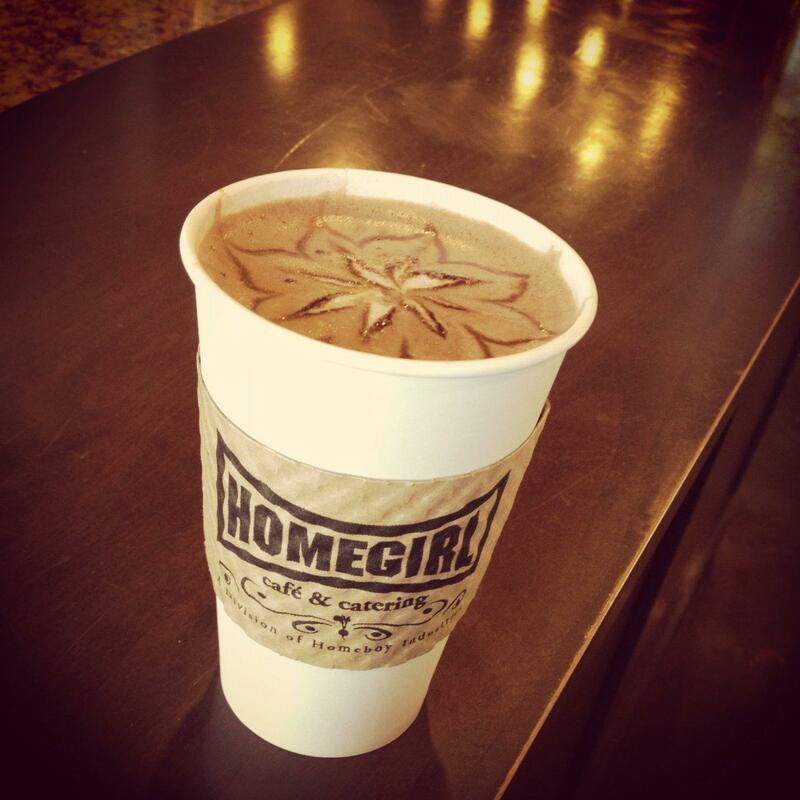 Homeboy Industries will feature artisan sandwiches and salads from Homegirl Cafe, baked goods and decadent pastries from Homeboy Bakery, and a variety of Homeboy/Homegirl merchandise including tote bags, mugs and clothing. Saturday, November 9, 2013, 2–4 p.m.
Father Greg Boyle was onsite to sign copies of his bestselling book Tattoos on the Heart: The Power of Boundless Compassion.